When and where Virginia Mayo was born? 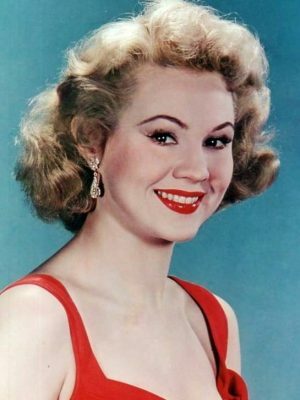 Virginia Mayo (born Virginia Clara Jones; November 30, 1920 – January 17, 2005) was an American actress and dancer. Best known for a series of comedy films with Danny Kaye, Mayo was Warner Brothers' biggest box-office money-maker in the late 1940s. She also co-starred in the 1946 Oscar-winning movie The Best Years of Our Lives. Born Virginia Clara Jones in St. Louis, Missouri, she was the daughter of newspaper reporter Luke and wife, Martha Henrietta (née Rautenstrauch) Jones. Her family had roots back to the earliest days of St Louis, including great-great-great grandfather Captain James Piggott, who founded East St. Louis, Illinois, in 1797. Young Virginia's aunt operated an acting school in the St Louis area, which Virginia began attending at age six. She also was tutored by a series of dancing instructors engaged by her aunt. Following her graduation from Soldan High School in 1937, Jones landed her first professional acting and dancing jobs at the St. Louis Municipal Opera Theatre (more commonly known as The Muny) and in an act with six other girls at the Hotel Jefferson. Impressed with her ability, her brother-in-law, vaudeville performer, Andy Mayo, recruited her to appear in his act "Morton and Mayo". Jones toured the American vaudeville circuit for three years, serving as ringmaster and comedic foil for "Pansy the Horse", as Mayo and his partner, Nonnie Morton, performed in a horse suit. In 1941 Jones, now known by the stage name Virginia Mayo, got another career break as she appeared on Broadway with Eddie Cantor in Banjo Eyes. How tall and how much weigh Virginia Mayo?